The child thrives in her new environment, learning to make butter, boil maple syrup, and tend the animals. When Frances announces she is to be married and has come to “save” Elizabeth Ann from the dreaded Putney cousins, she is amazed to discover that the little girl is quite content to stay. 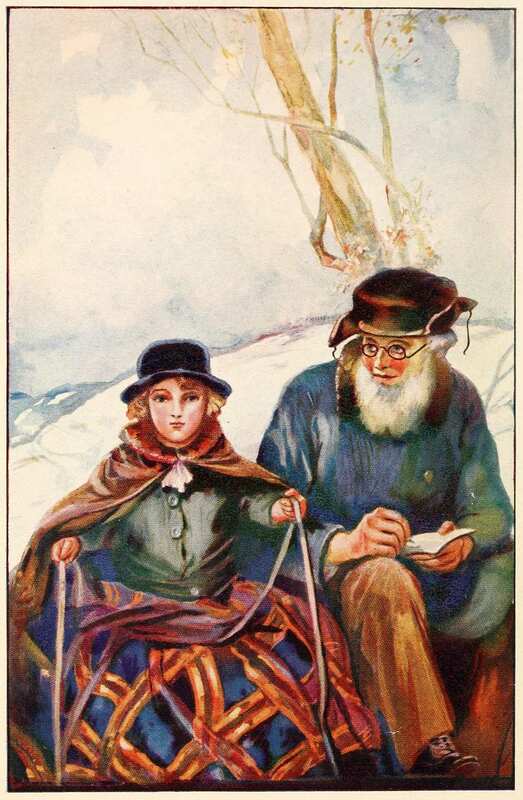 The story ends after Frances has returned home, with Betsy, her aunt Abigail, uncle Henry, and cousin Ann sitting quietly and happily around the fireplace enjoying the knowledge they will now be a family for good. 05 – What Grade is Betsy? 06 – If You Don’t Like Conversation in a Book Skip this Chapter! Elizabeth Ann stood up before the doctor. She had greatly enjoyed doing her own hair. "What's the matter, Molly? What's the matter?" Never were dishes washed better!